Perfect for any season, reason and occasion, our Gift Certificate makes the ideal gift for friends, family or corporate incentives. 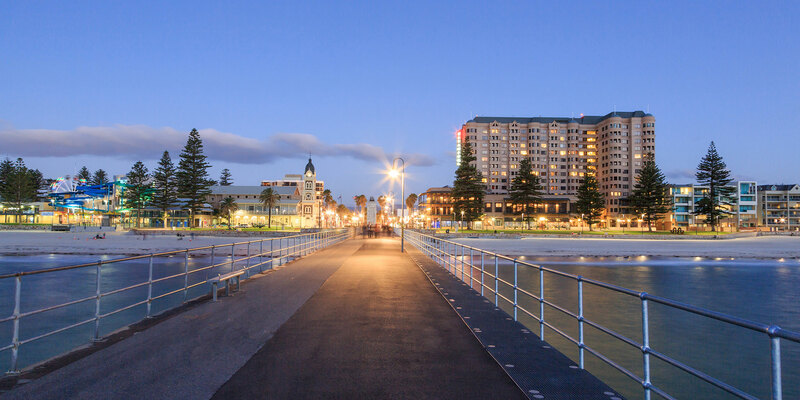 They can be used for a high tea, dining or accommodation at Stamford Grand Adelaide – located beach front at Glenelg. Our famous Stamford high teas are perfect for an afternoon of indulgence seaside with our bespoke selection of sweet and savoury treats and fresh from the oven scones are all prepared onsite by our talented team of Chefs. Or give a certificate for The Promenade, our onsite restaurant that offers spectacular views of Glenelg Beach while you dine. And for accommodation - you could gift our signature Romance and Seduction package and take romance to new heights (think rose petals, champagne, canapés, a warm bath...). Or you could simply gift an accommodation certificate so your recipient can enjoy making their own Stamford memories by the beach at Glenelg. Accommodation rates and packages vary based on demand and peak event periods. Certificates can be purchased for any amount listed below and know that they can be used at any time (as a reduction on the rate booked, or towards dining or high teas). Please note that a 3% booking fee applies to all purchases.